Bridgestone Motorcycle Tires are utterly ubiquitous in the industry, as they are the exclusive tire used on the MotoGP circuit. The Bridgestone Tire Company was began in Japan in 1931, and they acquired Firestone (founded in 1900 in Akron, Ohio) in 1988 to form the world's largest tire company. At present, Bridgestone operates 52 production operations with over 50,000 employees in the Americas alone. The motorcycle-specific division of Bridgestone tires began right after WWII, quickly ascended to the top of the pack of motorcycle tire manufacturers, and remained there ever since. In this post, we're going to go through the several video guides for Bridgestone Tires that we recently shot. This guide will be a great jumping off point for anyone seeking out motorcycle tires for the first time. This is a brief overview of the brand and the several on-road tires that they offer. The videos that follow are much more in-depth looks at each of the tires that are featured in our overview. This is the guide designed for the sport and track rider. 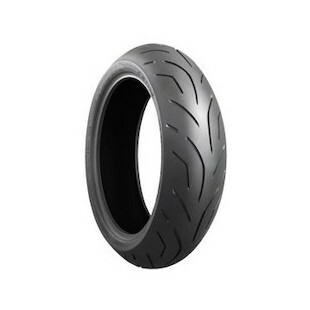 The first tire featured in this guide is the Bridgestone Battlax BT-003 RS which is primarily a track tire that can crossover to the street (70% track, 30% street). Next up is the Bridgestone Battlax Hypersport S20 (at right), a brand new tire that offers excellent performance for sport riding and wet grip, but can also get you to the track. 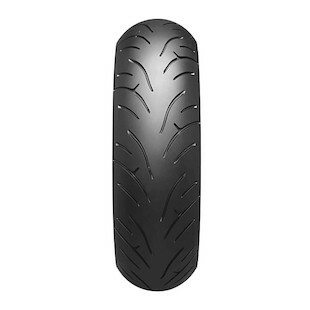 Finally, the Bridgestone Battlax BT-016 has been around for a few years, and is the economical sport tire choice in the Bridgestone lineup. Many riders will recognize this as a classic sport tire, one of the first great dual compound options available. The upgrade from the BT-016 to the S20 will make sense for most sport riders due to its versatility. 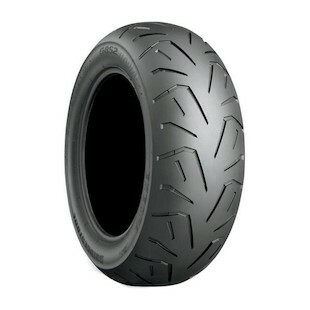 The Bridgestone Battlax BT-023 is designed for longest sport riding and sport touring in all weather conditions. An excellent tire in the rain, the BT-023 features a dual compound construction that provides extended longevity, comfort, and good grip in the dry and the wet. 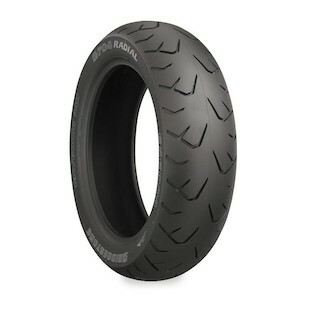 This is a great fit for the sport rider looking for an agile tire that will excel in all weather conditions. The Bridgestone Exedra Max is built for Japanese and metric cruisers, with a specific tread pattern and wide profile shape that accommodates long-distance touring. It has been around for nearly 30 years, and the newest iteration features a single rubber compound and a tread pattern that forces water out, promoting excellent wet grip to complement its dry grip. Comfortable and offering excellent longevity, the Bridgestone Exedra Max is a solid choice for many metric and Japanese cruiser riders. The Bridgestone Exedra Goldwing, as you may have suspected, is currently the stock tire for the Honda Goldwing GL1200, GL1500 and GL1800 motorcycles. If you're a Goldwing rider, and you're looking for the OEM tire to replace the tires that came on your bike, this is the one. There is not much more to say. 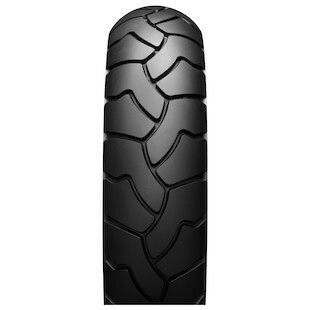 The Bridgestone Battlewing is the dualsport motorcycle tire in their lineup. Built for 80% on-road and 20% off-road, the Battlewing tires are an ideal option for big ADV touring bikes, like the BMW GS or Ducati Multistrada, and are the OEM tire for this year's Yamaha Super Tenere. These silica-enriched V-speed rated tires use a single compound and will perform exceptionally well both in the dry and the wet. The unique tread pattern is designed to be quiet on the road but features deep enough grooves that loose soil is easily moved out of the way.